Start your throwback experience with a cup of joe from Hopscotch Coffee and Records, specializing in direct trade, small batch roasting of specialty grade coffee. Take time to browse the vinyl record selection and you may uncover a vintage find. 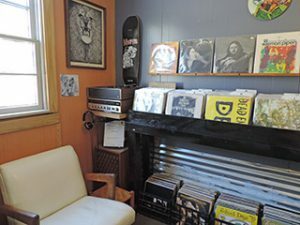 Or, pay a visit to Earfood, a long-standing and locally-owned nostalgic record shop with a vast selection of music from all eras. Records not your thing? 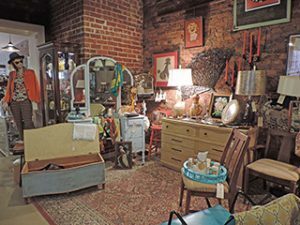 Use your treasure hunting skills to search for a unique piece from one of our antique stores, such as Blue Peacock Antiques, Past and Present Antiques & Collectibles, or Long Valley Traders. For a taste of life in Winchester during the 1950s, pay a visit to the Patsy Cline Historic House. The home of legendary country music star, Patsy Cline, is recreated to the era when Patsy lived there with her mother and siblings. Take some time to stroll the Old Town pedestrian mall, and its specialty shops and galleries. 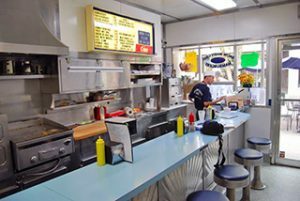 On the north end of the mall, you will find a hidden retro gem, the Snow White Grill, which has been serving its iconic mini-cheeseburgers, fries, and milkshakes for over 65 years. Sit at the classic soda shop-style counter surrounded by memorabilia from the 50s and 60s. Even country music star, Patsy Cline, used to frequent the establishment. If you skip the milkshake here, you may want to indulge in some soft serve at Pack’s Frozen Custard – with four locations. Pack’s Dairy Corner, housed in a classic roadside stand with a sign boasting, “Since 1957” will take you back to another time. 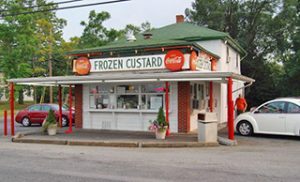 Shakes, swirl cones, banana splits, and other treats are a perfect mid-day treat. Step into the world of the prehistoric past, when only dinosaurs roamed the earth, at our favorite kitschy roadside attraction, Dinosaur Land! 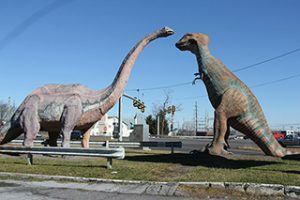 Welcoming visitors for over 50 years, Dinosaur Land features over 50 dinosaurs and other impressive beasts that are sure to be perfect for a family photo-op. 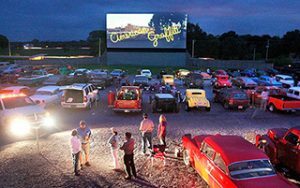 For a sample of retro roadways, skip the interstate and take Route 11, the Old Valley Pike, to your final destination, the Family Drive-In Theatre.